Does your company host annual summer corporate events such as company picnics, “Take Your Child to Work Day”, charity functions, holiday parties, or employee appreciation parties? 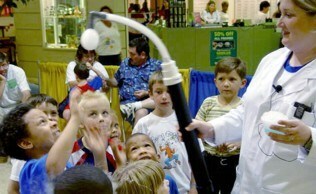 Let Mad Science of St. Louis make your next company function one for the record books! 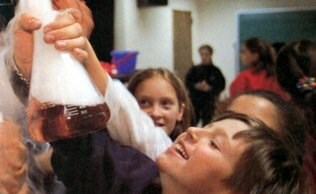 Our team of Mad Scientists can bring the magic of science to your company. We offer fun filled shows lasting anywhere from 45 minutes to an entire day depending on your needs, and we have the ability to accommodate groups of virtually any size from 20 people to over 1000 people. Our spectacular shows are designed to entertain children ages 5-12 years old, however our displays and experiments will amaze both the young and young at heart. We pride ourselves in offering theme-based programming that provides our customers with tailored made events that are flexible and can be customized to fit the needs of your company. 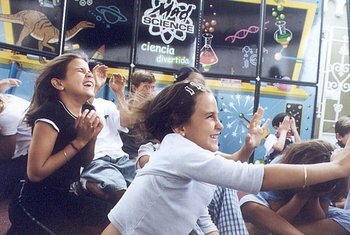 Mad Science corporate events packages include captivating shows, cool workshops and intriguing experiments are sure to get the entire crowd excited about the fascinating world of science. So why should you choose Mad Science of St. Louis for your next corporate event this summer? We can host your unique, tailored-made event for any group size, with any budget, at any place, for any length of time. As if that isn’t reason enough, be sure to check out our various form of entertainment including our shows, booths, and workshops by clicking each item on the above menu!